One of the biggest obstacles for learners, young drivers and those with a freshly minted licence is the cost of car insurance. There’s no getting away from the fact it’s going to be a major cost until you have some experience and years under your driving shoes, but there are cars that can help lessen the expense. So, here’s our Top 10 cheapest cars to insure for learners, new and young drivers. 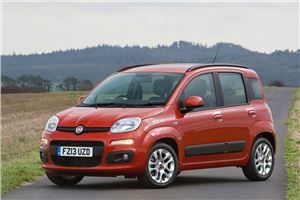 The most affordable car to get covered for anyone learning to drive or who has just passed their test is Fiat’s chirpy Panda. Some of that comes down to this Italian not being the quickest car for those budding Carlos Fandangos who’ve just ditched the L-plates. 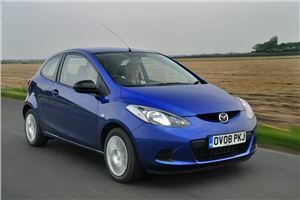 However, it’s stable handling makes it easy to drive in all conditions and the engines are easy on fuel and servicing. Every version also has plenty of safety kit. We reckon newly qualified older drivers will be most drawn to the Panda for its simplicity, compact dimensions and a driving position that’s a little higher-set than many other city cars. Insurance runs from Group 6, so an average fully comprehensive quote comes in at £801, thought his depends on the individual driver. Even so, that’s great value while you build up your no-claims and on-road experience. Young drivers might feel put upon when it comes to the cost of insuring their car, but the Fiat 500 is here to put a smile on their faces. The cheeky retro 500 can be all things to all drivers depending on how it’s finished, so you can choose from funky 1970s shades through the latest trends. There’s also a decent range of engines to keep running costs under control, while most 500s have modern tech fitted to let you play music without bothering the onboard radiogram. You might find the rear seats too squashed to carry friends, but that’s not such a bad thing just after passing your test to keep distractions to a minimum. Insurance starts at Group 5, so you most young drivers should be able to start amassing their no-claims as a fully comprehensive policy costs an average of £822. Just like the original Ka, the second generation of Ford’s city car is a great choice for anyone learning to drive or recently in possession of their full licence. 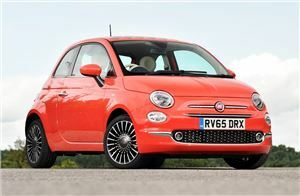 The Ka shares much of its mechanical bits with the Fiat 500, but the looks have much more in common with the Fiesta. As a result, the Ka will appeal to those who want an insurance-friendly motor but would rather side-step the Italian’s cutesy retro style. As well as its modern looks, the Ka gained sharper steering and suspension than early Fiat 500s, so it’s more fun on twisty roads and around town. That should suit young drivers, while four airbags as standard will please parents. We’d stick with the petrol-powered models for easier insurance, which ranges from Groups 3 to 4 and comprehensive covers comes in at an average of £832. As a low-cost entry to your first car, the Suzuki Alto is ideal for learners and new drivers alike. It sits in insurance Group 4 and the typical cost of a fully comprehensive policy is £834. Couple that to running costs you can afford from a piggy bank and the Alto makes a lot of sense. As well as its financial sense, the Alto is available with a choice of five-speed manual or four-speed automatic gearboxes, so older drivers who’ve just taken to the roads might find the latter very attractive. 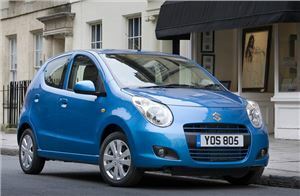 Both are a cinch to drive in all conditions and the Suzuki can also hold its own on the motorway where some other city cars can quickly feel out of their depth. 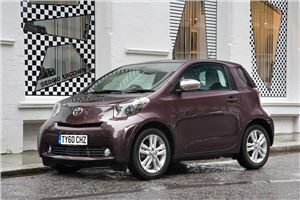 Younger drivers may well be lured in by the Fiat 500 or Ford Ka, but those new drivers with a bit of nous will recognise the Toyota iQ as a very canny buy. 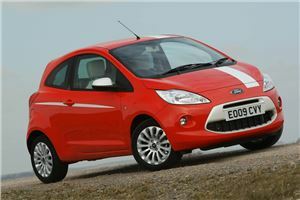 Not only does it rank fifth in our Top 10 here, it scored a superb five-star crash test rating from Euro NCAP when new. 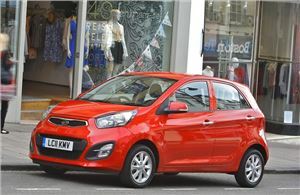 Add in its compact dimensions that make town driving oh-so easy and you have a great first car. The iQ also has a more rounded, grown-up feel to the way it drives, so you won’t feel the need to change it after the first year’s insurance is up, which should cost an average of £841. Even though it’s only 3.9-metres long, it can seat four and has all of the build quality, reliability and long-lasting durability that marks out Toyota’s models. 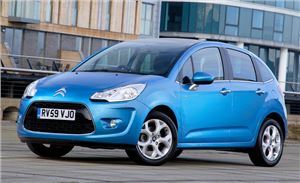 The second generation Citroen C3 doesn’t leap out as the most desirable choice for those straddling either side of the learner driver firmament. Hear us out, though. It earns it place here thanks to a comprehensive policy costing an average of £850, helped by insurance from just Group 4, and there’s more to recommend it too. 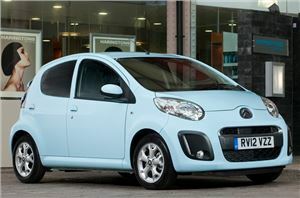 For starters, the C3 is one of the simplest cars to step into and just drive. It’s completely undemanding and comes with a ride that’s much cushier than many superminis, so anyone wanting comfort is well served here. You also get the unusual extended ‘Zenith’ windscreen that sweeps up and over the front section of roof. It gives great vision and makes seeing traffic lights much easier. 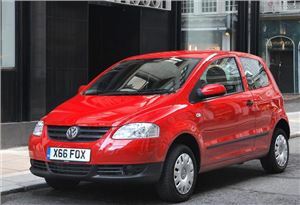 It’s easy to overlook the Volkswagen Fox, falling between the lovable Lupo and brilliant Up in the timeline of VW city cars. Take a closer inspection and what you find is a perfect study in learner driver science. Consider the higher than normal driving position that gives fine forward vision, the compact dimensions for easy manoeuvring, and the perky petrol engines. All of the controls are light and the Fox is also cheap to buy. Insurance comes in at Group 1, so an average comprehensive policy price of £852 is no great surprise. Just as gentle on the budget are fuel economy, servicing and road tax costs. The only downside is the Fox is anodyne to drive, but that also makes it ideal for learning the ropes. Hot hatches and performance cars might not be on the cards for most newly qualified drivers, but that doesn’t mean giving up on driving fun. Say hello to the Mazda 2, made between 2007 and 2015. It’s one of the most enjoyable superminis you could hope to steer and makes the most of its modestly powered engine thank to light weight and nimble handling. There’s some pay-off for this fun with a ride that can stray into being harsh on more broken road surfaces. You’ll also find the engines a touch noisy on the motorway, though economy is good. Many will be prepared to accept this for an average premium of £858 to have a car that brings so much enjoyment as standard. Two cars for the price of one here. Or rather, two cars that share almost all of their parts other than badges. They also share the same average premium quote of £860, so a great deal of which one you choose will come down to personal preference and availability. Neither the C1 nor the 107 will worry the upper reaches of their speedos, so they make ideal cars for learners and what performance there is comes in gently. Stable handling is another boon, along with insurance beginning in Group 3 for both models, though that’s for the bare bones entry-level spec that foregoes almost any luxury. The Kia Picanto that was launched in 2011 and replaced in 2017 is one of the best cars any learner or recently qualified driver could hope for. The younger contingent might think it looks a little staid, but underneath is a car that drive with vigour and vim. Zippy performance from the three-cylinder 1.0-litre engine makes it the one to choose, while refinement is another tick for the Kia. A three-door arrive din 2011, but we’d go for the five-door for greater practicality. Inside, the Picanto is well screwed together and comes with a lot of standard kit in the higher trim levels. Insurance kicks off in Group 2 and an average policy costs £866, while newer examples will also come with the balance of Kia’s superb seven-year warranty.